Jungle themed laser tag, with smoke, music and lights, Megazone is a thrilling experience for up to 54 players per game, suitable for most ages and abilities! But it’s more than just laser tag; try your hand at forest themed minigolf; enter a different world with our Virtual Reality; win big on our huge arcade; or rest and relax with a board game and cuppa; or end the night, with a glass of wine and friends in upstairs function bar. Megazone specialises in fun for parties, events, groups, sports clubs, schools, and people looking to have an awesome day or night out. Enjoy our futuristic combat arena amongst the smoke and laser lights and test your skill, wit, fitness and courage against an enemy team who is looking to destroy your base, and you! To emerge victorious from the Megazone Laser Tag arena you must evade mines, blast your enemies with our high tech blasters, destroy the opponents base while keeping yours safe. All the while spectators can see you playing, and see your points in real time! Jungle themed minigolf with amazing art, challenging holes a water feature, Glow in the dark areas and more! Sutiable for all ages, with nice rainbow balls and putters. All wrapped in rubber to avoid accidents, and rest areas on the course to make it easy to enjoy! Megazone got sick of this reality and has added in a newer cooler one! Put on a futuristic headset, and jump into anything your heart desires! Become a wizard, explore space, become a pirate, climb something or do whatever! Tonnes of experiences , to enjoy. New adventures added regularly. Beat the high scores and best your friends in Dunedin's largest arcade. We have the biggest range and best prizes. Try your hand in the boxing ring, on the dance stage, in the wild west, on the race cource or on the basketball court. Megazone is the place to be to try new and old school games, including Pac man, space invaders, air hockey pinball and claw games. Megazone is home to the largest selection of board games in the South Island. With competitive prices and international renowned games, the Games Store is where you need to go before family game night. 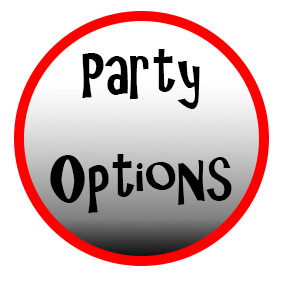 Whether you're after party games, family games, adventure games, competitive games, or cooperative games, we have it all! With over 100 open board games for you to try for free with your buddies. These include award winning games such as 7 Wonders, Catan, Ticket to Ride and Exploding Kittens. 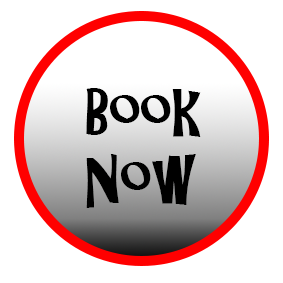 Book a time to come with your friends, or attend one of our board game nights to play against other keen gamers. The games room at Megazone allows you to try new board games before you buy. What a great deal! Free hire our private function bar. We prove a huge selection of premier beer, wines, RTDs, and non alcoholic options. As a fully stocked cocktail bar, Carbon Bar is perfect for those extra special events. Include the private function bar as part of your laser tag, mini golf, Virtual Reality or arcade night out. Want some games to break the ice? Choose games from our Games Room, stocked from the biggest board game store in Dunedin. We are super excited to announce that Dunedin's Megazone Entertainment Center in collaboration with MASH (My After School Headquarters) have joined forces . The children will have the opportunity to experience not only the amazing Megazone facilities, but also all the great activities that MASH are well known for providing.